Do Iranian Americans Receive Equal Rights Before The Law? Everyone must be equal before the law. This is a phrase some Iranians might take with a pinch of salt. Particularly in the era of Trump when many of them have been banned from even traveling to the US, just by virtue of where they come from. But they wouldn’t be alone. Iranian Americans and even other Americans and their entitlement to legal representation is being undermined by a series of flaws in ‘the system’. It means that there is an access to justice gap in the US and it disproportionately affects marginalised communities who do not have the resources or do not speak the language well enough to understand court proceedings or their lawyers. It begs the question of whether the US is in fact falling short of its commitment and compliance with the International Covenant on Civil and Political Rights, which states that all persons must be equal before the courts and tribunals and that they must receive the free assistance of an interpreter if they cannot understand or speak the language used in court. Language access in fact remains a large component restricting access to justice. Although a couple of different initiatives are trying to help address this, even inadvertently. Nima Heydarian, a 33 year-old IT professional from Houston, Texas for instance stumbled on a way to help address the access to justice gap when it came to language, by happenstance. In 2004, he started a website in order to practice coding but because of the demand, it’s now become a full-time business. 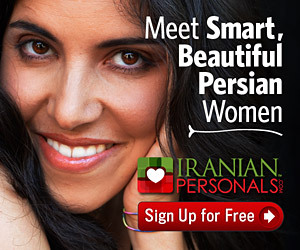 The website, called IranianLawyers.com aims to list lawyers of Iranian origin, all across the world. There are a number of reasons, Heydarian explains to The Iranian, as to why potential clients might be seeking an Iranian lawyer in particular. Cultural issues are high on the list and family law, Heydarian admits, is one of the most popular types of legal advice sought out. However, the idea came from the fact that Heydarian himself was looking for an Iranian lawyer to help him in the US. One of Heydarian’s clients also spoke to this. Marjan Kasra, a US Attorney who practices immigration law, posts her services on the website and found that people do in fact seek out Iranian lawyers. Kasra notes that the role they’ve played has been necessary in the pursuit of justice. However, the current political climate has made the issue more acute. Kasra explained that since the travel ban families had been torn apart. The Presidential proclamation that installed the ban stated there would be a waiver process. Those with close family ties in the US such as spouses or immediate relatives should qualify for this waiver but Kasra told The Iranian there was a lot of inconsistency, at least in her experience, with some people being granted waivers while others weren’t. Kasra admits the problem here is down to a combination of factors: the language barrier, cultural factors and also a lack of guidance from the Department of State to US Consular posts. Justice and human rights advocates meanwhile have been well aware of the US government’s institutional failings to provide the full force of the law to all of its citizens. The Justice Index is perhaps one way of trying to redress the balance. The Index, launched by the National Center for Access to Justice, scores and ranks US states “on their adoption of selected best practices for ensuring access to justice, creating incentives for state officials to replicate those practices”. There are 112 indicators that come under the umbrella of four broad categories, one of which includes language access. It’s also a federal requirement. According to a 2016 report from the Justice Department, there is consensus among federal and state courts that those that need it should have access to an interpreter under the US constitution at least in criminal proceedings. Also, on the basis that the court cannot discriminate on the basis of race, color, religion or national origin, particularly those who wish to receive federal financial assistance, a Supreme court ruled that language plays into this where national origin is concerned. This applies to criminal, civil, or administrative proceedings. The last US Census recorded 491,263 Iranians in the US. According to 2015 estimates, 64% of the Iranian population in the US are foreign born. 84% of Iranians in the US speak Farsi or a language other than English at home. 31% of them speak English less than very well. One in every 105 Iranians in the US works in the legal industry. The highest concentration of Iranians in the US also appear to live in California, which scores 31.46 on a scale of 1-100 when it comes to language access. Factors that could improve these scores include offering and advertising interpretation services free of charge. Overall however, the state scored 49.97, whereas overall scores went as low as 19.90 such as in the state of Wyoming. That some US states are performing so low on the index is antithesis to what America is supposed to represent – freedom and equality for all. Professor Martha Davis from the Northeastern University School of Law is one scholar who has kept a keen eye on how the US is keeping with its international treaty obligations. She told The Iranian that although there are pockets of progress around the country, where voluntary schemes are seeking to provide those disadvantaged with access to counsel, “the federal government is not leading in this regard”. In fact, Trump’s administration had tried to push through proposals in the last budget that would have completely eliminated funding for the Legal Services Corporation, a government agency that provides financial support to low-income Americans for civil legal aid. Fortunately these proposals did not go through and the agency received a slight increase in funding, even though it is still almost $120mn short of what it says it needs to be able deliver to all of those in need. While there are many Americans affected by the access to justice gap, Davis says that an acute issue is the lack of counsel provided to immigrants who are in removal proceedings. Davis says that anyone who is low income and marginalised suffers. And while it may be federal law that those who are not so proficient in the English language must be provided with an interpreter in court, by then it could be too late. So, there’s still some work to be put in before everyone gets an equal chance before the law. But at least with voluntary programs, entrepreneurial solutions and academic efforts, the country can at least be said to be moving in the right direction, despite pullback from the top.